We recently caught up with Jaydean Dawkins who is the director and founder of Confessions of a Youth Theatre Company. Her group were grateful to receive funding from local residents who voted for their project at the Radstock and Westfield Big Local Dragons' Den in September 2016. Hi Jaydean, you won £500 at our fourth Dragons' Den event, what did you receive the funding for? 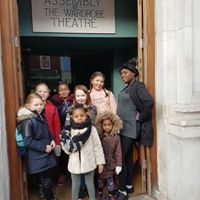 This year the funding has been spend on the Young Actors Group, allowing them to experience a wide range of theatre in order to building up their knowledge and skills in the Arts. Money has been spent on venue hire across several venues including Dragon Fly Theatre, Burdall’s Yard, Bath Spa University, and the Egg Theatre in Bath. Money has also gone towards theatre visits in Bristol, Bath and London including transport. During each visit the children see a show, have a tour of the theatre, speak to the actors and theatre makers. They also allow us some studio space for workshops. How has the project helped our local community? The funding from the big local has helped me provide a service that is true to our ethos. It has allowed me to provide free and affordable arts opportunities across Radstock and surrounding areas through my youth theatre company. My company is community based and focuses on the importance of the Arts and how it's goes hand in hand with education, health and wellbeing. We work with people from all backgrounds and all needs, no one is excluded. We also offer a peer mentoring scheme and open sessions for all the family. Essentially what I am trying to do here is build a chain of progression, where once you Join Confessions of the Youth Theatre Company, you are provided with a life time of opportunities if this is the career you wish to progress in. 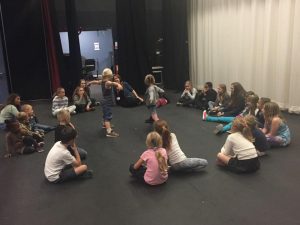 A child enters at four as a theatre company member and by the time they reach the age of eleven they have a more senior approach to the sessions. 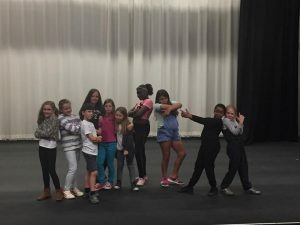 Where they can devise and perform their own plays, become a peer mentor, but they are given the opportunity to have a hands-on role in making things happen and encouraged to get involved in acting, directing, filming, music, staging, make up and costume, writing and team leading to gain an all-round experience of the theatre. At the age of fifteen they can apply for a work experience position if they are taking a performance subject at GCSE level. In time this can progress to a paid position. I believe the Big Local has planted a seed for us to go on to do this. Growing up in London, in a thriving community where getting involved in the arts was at your fingertips, allowed me to reap all the benefits that Drama had to offer. So, when I moved to Radstock and saw the lack of AFFORDABLE arts within the community. The minimal use of Drama within local schools, as a resident of Radstock and a mother of four I felt compelled to offer a service that could create a place where children came and felt free to express themselves through drama, music, dance, creative writing and many more different mediums at affordable prices. I believe that our community is what we make it, and by inspiring all the youths that attend my theatre company through the programs we offer. I am building a generation of children who are confident, and have many transferable skills that can be applied to all areas of their lives. This entry was posted in Dragons' Den, Life Long Learning, People. Bookmark the permalink.